The Bingley Arms at Horbury Bridge. 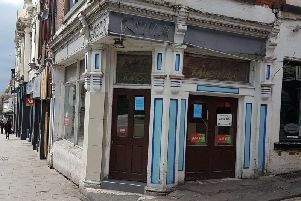 Pub goers are rallying to help save their waterside local that has stood for almost 200 years after its parent company announced it was being sold off. The Bingley Arms in Horbury Bridge is a grade II-listed Georgian pub but has been put on the market by the Heineken-owned Star Pub & Bars. But locals are refusing to give in without a fight and an online petition has been launched by local resident David Flint and more than 300 signatures have been added already. The Express contacted Star Pubs & Bars for a response, but they did not say why it was looking to sell. The pub, built,in 1822, sits between the River Calder and the Calder and Hebble Navigation canal. To add your name to the petition log onto change.org and search for Bingley Arms.